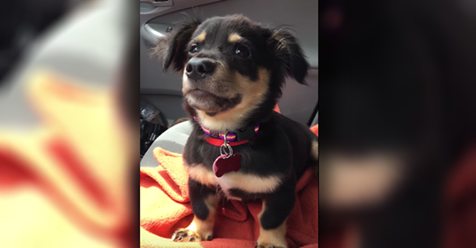 Home › entertainment › videos › Puppy Wants To Sit On Mama's Lap In The Car. When She Tells Him 'No'? SO CUTE! Puppy Wants To Sit On Mama's Lap In The Car. When She Tells Him 'No'? SO CUTE! “You can’t always get what you want,” the saying goes. While that’s true, it doesn’t really make not getting what you want any easier. Sometimes you just want it whether or not it’s realistic! All this little mixed breed rescue puppy wanted was to sit in Mom’s lap on the drive home. When he’s denied, he can’t handle it, and it is totally ADORABLE!